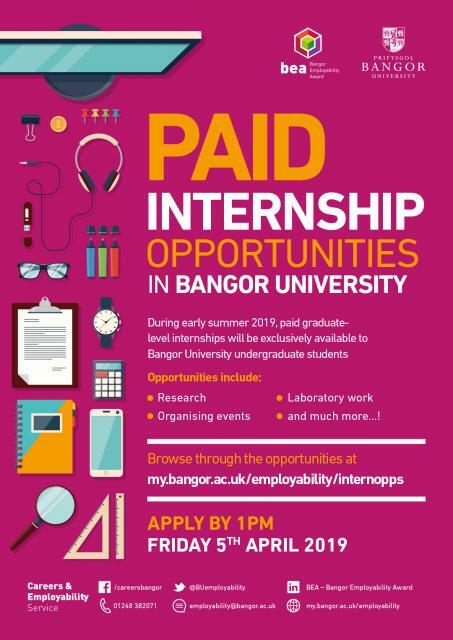 12 opportunities for paid graduate level internships (up to 150 hours each) will be available in various schools and departments across the University. Opportunities range from research to marketing, and from event planning to project work to name a few. You don’t need prior experience to be considered, just an interest, knowledge and enthusiasm for the internship project! The opportunities are now available for you to browse through and apply for by 1pm, Friday 5th April. Information sessions will cover information about the scheme, as well as help and advice for your application. There will also be an opportunity to ask questions (you do not need to book a place).